Alfred Clark Chapin, the last surviving member of the class of 1869 at Williams College, until his resignation in 1935 a member of the Board of Trustees of the College, to which he gave his virtually priceless collection of rare books and Chapin Hall, died on October 2, 1936, in the Ritz-Carlton Hotel, Montreal, Canada. In recent years his home had been at the Hotel Drake in New York City. A distinguished lawyer, in retirement since the end of the last century, Mr. Chapin played a prominent part in college affairs for more than a generation and had served on the board since 1917. He was made an honorary Doctor of Laws by his Alma Mater in 1909. Mr. Chapin had spent the summer at his summer home in Murray Bay, Quebec. He was in good health until September 10, when he suffered a heart attack, from which he rallied sufficiently, however, to make the journey to Montreal. His wife, the former Charlotte (Storrs) Montant, was with him when he died. A daughter likewise survives, Mrs. Hamilton Fish, Jr., of Garrison, N.Y., and Washington, D.C., wife of the representative in Congress from the 26th New York District. Mrs. Fish is the daughter of Mr. Chapin and his first wife, who was Grace Stebbins prior to her marriage on February 20, 1884. She died in 1908. A grandson is Alfred Chapin Rogers, ’31. Mr. Chapin married Mrs. Montant on January 6, 1913. One of the College’s most loyal graduates, Mr. Chapin with Mrs. Chapin had been a frequent visitor in Williamstown. For years it was his custom to stay at the Williams Inn [now Dodd House] for two or three weeks in the spring and fall while en route from New York to Quebec. On these occasions he invariably visited the library of rare books which bears his name and of which Miss Lucy Eugenia Osborne is the custodian. The fascinating story of the origin of this collection has been graphically told by Miss Osborne in her little volume entitled Alfred Clark Chapin, published in April 1937. Chapin Hall and the Chapin Collection in no wise represent all of Mr. Chapin’s benefactions to Williams, although they are two of the College’s most valuable and most valued physical assets. He has contributed generously to many a Williams cause, and the total of his gifts to the College is reported to be in the neighborhood of $1,250,000. Mr. Chapin, the son of Ephraim A. and Josephine Clark Chapin, was born in South Hadley, Mass., March 8, 1848, a descendant on both sides of New England families prominent in the settlement of Massachusetts. One of his ancestors was Deacon Samuel Chapin, a founder of Springfield in the 17th century. He came to college from Rutland, Vt., having prepared there and at Mills School, South Williamstown, and graduated from Williams when the institution was experiencing the reconstruction period of the post-Civil War era. After studying law for one year in Keene, N.H., he entered Harvard Law School, graduating in 1871. He was admitted to the New Hampshire bar in the same year and to the New York bar in 1872, when he began his law practice in New York City. He became attorney for the Long Island Railroad and for the banking and railroad interests of Austin Corbin. Some ten years later he branched out into politics, when he was chosen president of the Young Men’s Democratic Club of Brooklyn. He entered the New York State Assembly in 1882, and in 1883 was Speaker. Following the two-year term at Albany he was appointed Comptroller, serving from 1884 to 1887, and in this office insisted on applying the Civil Service Reform Law to every department under him. Backed by reform elements in the Brooklyn democracy, Mr. Chapin was elected mayor of Brooklyn in 1887, serving for two terms. He attacked in his first message the management of the Brooklyn Bridge, opposing its separate treasury. It was through his efforts that the legislature passed a bill compelling the trustees of the bridge to hand over certain amounts at stated intervals to the New York and Brooklyn comptrollers. He also brought about the laying out of new streets in Brooklyn and the erection of new schoolhouses. He was re-elected in 1889. In his second term he prepared a bill, known as the Sinking Fund Law, which when adopted enabled him to reduce the bonded indebtedness of Brooklyn by $10,000,000. Mr. Chapin was a member of Congress, representing the 2nd New York District, in 1891–92, and resigned from Congress in 1892 because he opposed free silver. 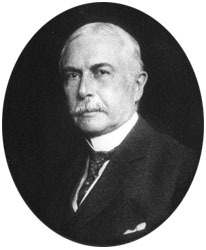 He served as New York State Railroad Commissioner, 1892–97. In 1891 he had been unsuccessfully boomed for the Democratic gubernatorial nomination. As an undergraduate, Mr. Chapin was elected to the Phi Beta Kappa society and was affiliated with the Alpha Delta Phi fraternity. He belonged to the Union and Williams Clubs in New York and formerly was a member of the Brooklyn, Montauk, Lincoln, and Carlton clubs.